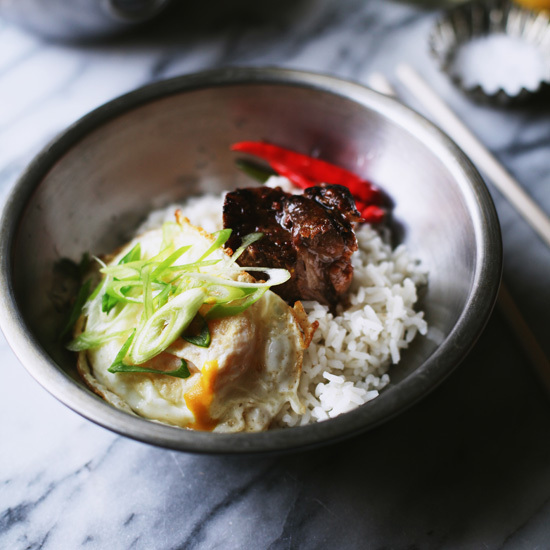 This charred dish from farmer Tadaaki Hachisu gets a salty, earthy, spicy hit from brown rice miso and fresh ginger. 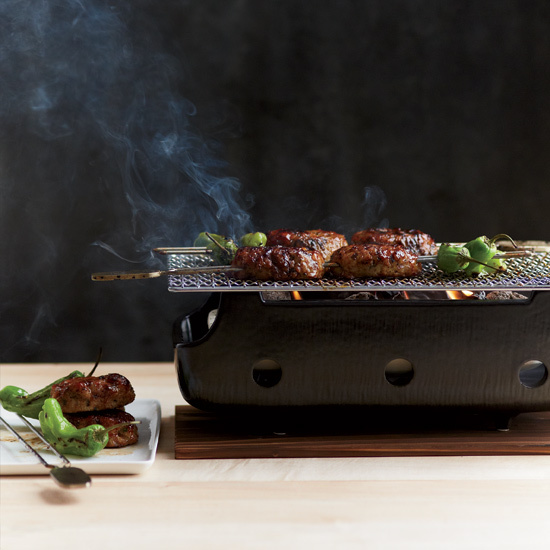 These juicy Japanese meatballs, known as tsukune, are grilled on skewers with the finger-size green peppers. 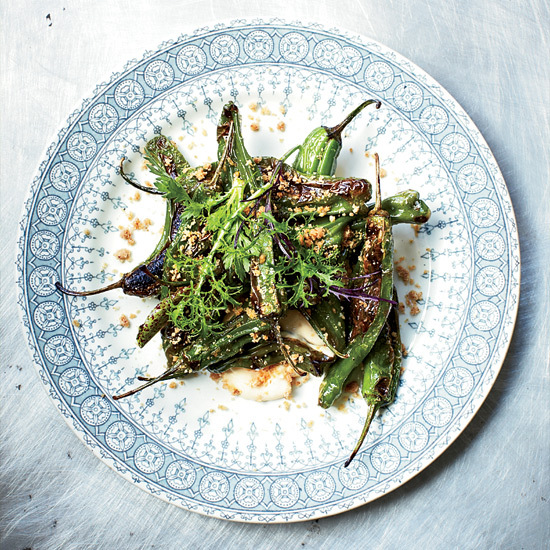 Michael Voltaggio’s clever recipe for crispy fried shishito peppers features crunchy, sweet and umami-packed bonito sand, a simple combination of almond flour, bonito flakes, sugar and butter. 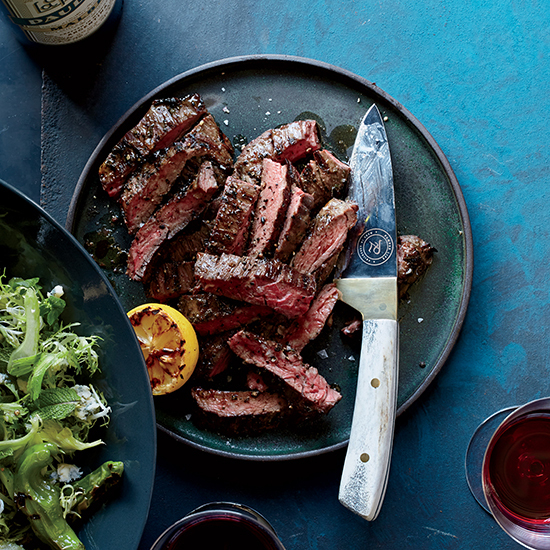 The tender beef, spicy shishito peppers, pungent blue cheese and smoky lemon-dressed salad are incredible together. Grilled until they're lightly charred outside and tender within, these leeks are terrific served with a spicy twist on the classic Spanish almond sauce. Here, the romesco is made with grilled shishitos and crushed red pepper so it has multiple layers of heat. 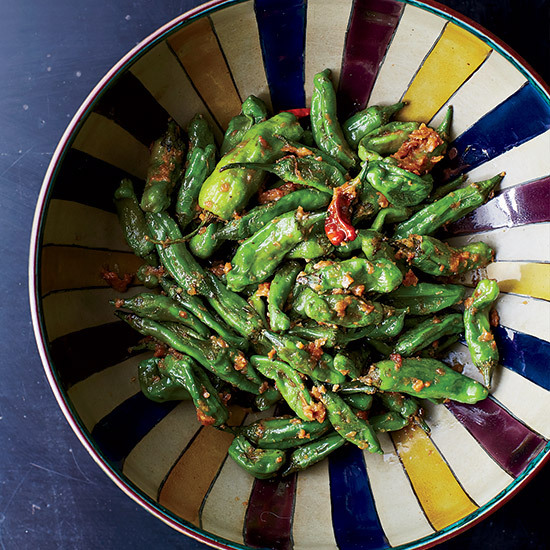 This light and tangy salad keeps well and is great at room temperature, making it a good packed lunch or picnic dish.